Mutual fund investors can lure by the flashy numbers of dividend payouts in percentages announced by fund houses on a regular basis in periodicals, newspapers, websites, etc. Mutual fund investors can lure by the flashy numbers of dividend payouts in percentages announced by fund houses on a regular basis in newspapers, websites, etc. Some people invest in mutual funds just by considering dividends and historical returns. But, this is not a right step to invest in MFs because these schemes contain more or less risks. 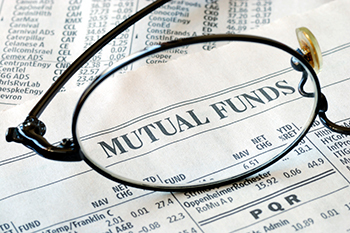 Mutual funds involve five investment risk indicators such as alpha, beta, r-squared, sharpe ration and a standard deviation which apply to the analysis of mutual fund portfolios. It considers the volatility of a fund portfolio and then compares it with a benchmark index. The additional investment return relative to the return of the benchmark index is called its ‘alpha’. A positive alpha indicates that the fund has outperformed its benchmark index by 1 % and a negative alpha shows the fund’s underperformance of 1%. The investment is better when alpha is more positive. This risk indicator shows a mutual fund’s volatility in comparison to the market as a whole. In simple words, investors think of beta as the tendency of an investment’s return to respond to swings in the market. It is calculated using regression analysis. If a fund has a beta greater than 1, then the fund is more volatile than the market and vice versa. It is a statistical measure that shows the percentage of a portfolio’s movement from its benchmark index movements. Generally, the value of R-squared ranges from 0 to 1. If a mutual fund has an R-squared value between 0.85 to 1 shows a performance record that closely correlated to the index and vice versa. It is advisable to prefer actively managed funds with low R-squared ratios. It is applied to the annual rate of return of an investment to calculate its volatility. This gives mutual fund investors an idea about how much the return on a fund is deviating from the expected returns based on its historical performance. This ratio measures risk-adjusted performance and it helps investors understand that whether an investment’s return is because of excessive risk factor or smart investment decision. When an investment’s sharpe ratio is high, its risk-adjusted performance is also better.